Good teamwork begins with a cup of coffee for everyone, a new study suggests. Researchers found that people gave more positive reviews for their group’s performance on a task – and their own contribution – if they drank caffeinated coffee beforehand. A second study showed that people talked more in a group setting under the influence of caffeinated coffee – but they also were more on-topic than those who drank decaf. Coffee seems to work its magic in teams by making people more alert, said Amit Singh, co-author of the study and a doctoral student in marketing at The Ohio State University’s Fisher College of Business. “We found that increased alertness was what led to the positive results for team performance,” Singh said. Singh conducted the study with Vasu Unnava and H. Rao Unnava, both formerly at Ohio State and now with the Graduate School of Management at the University of California, Davis. The study appears online in the Journal of Psychopharmacology. While many studies have looked at how caffeine affects individual performance, this is the first to examine the impact it has on teams, Singh said. 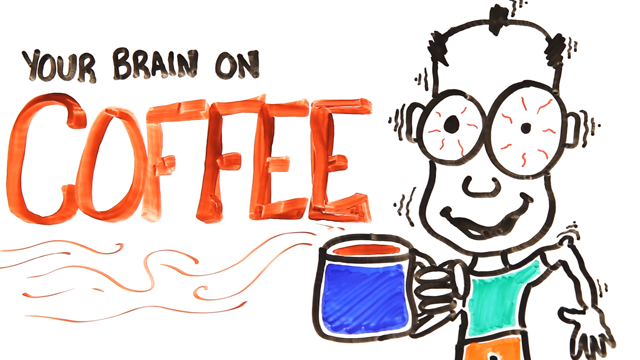 The first study involved 72 undergraduate students who said they were coffee drinkers. They were instructed not to drink coffee before the experiment. Half of them first participated in what they were told was a coffee-tasting task. They were split into groups of five. After drinking a cup of coffee and rating its flavor, they were given 30 minutes of filler tasks to give the caffeine a chance to kick in. The other half of the participants did the coffee tasting at the end of the experiment. Each group then read about and were asked to discuss a controversial topic – the Occupy movement, a liberal movement that highlighted social and economic inequality. After a 15-minute discussion, group members evaluated themselves and the other group members. Results showed that those who drank the coffee before the discussion rated themselves and their fellow team members more positively than did those who drank coffee after the discussion, Singh said. Those who drank caffeinated coffee rated themselves and their fellow group members more positively than those who drank decaf. It had to do with alertness. A key finding was that people who rated themselves as more alert – whether they drank caffeinated coffee or not – also tended to give higher marks to themselves and their fellow group members. This suggests that any intervention that increases alertness (such as exercise) may also produce similar results, which the authors propose in the paper as a future research topic. We suspect that when people are more alert they see themselves and the other group members contributing more, and that gives them a more positive attitude,” Singh said. But the caffeine does more than just increase good feelings. The researchers did an analysis of the group discussion in the second study, rating how much each group member talked and stayed on topic. Results showed that people tended to talk more after drinking caffeine, but they also tended to stay more on topic. “They’re talking about more relevant things after drinking caffeinated coffee,” he said. One might think that if people are talking more about a controversial topic like the Occupy movement, that may cause friction in the group. But that’s not what the study suggests. “Even though they are talking more, agreeing and disagreeing, they still want to work with them again,” Singh said. This article has been republished from materials provided by Ohio State University. Note: material may have been edited for length and content. For further information, please contact the cited source. Unnava, V., Singh, A. S., & Unnava, H. R. (2018). Coffee with co-workers: role of caffeine on evaluations of the self and others in group settings. Journal of Psychopharmacology, 0269881118760665.